Head down to Brazil for some colourful Mardi Gras fun at the Carnaval! A 5 reel, 9 payline online beginner video slot loses a little in translation to the mobile world. If you’ve played Carnaval slot online, chances are you either enjoy the simpler games, or are still trying to find your gambling feet and need an easy slot to learn the nature of multi-line 5 reelers. Both of which you should and are still able to do with this online slot turned mobile. 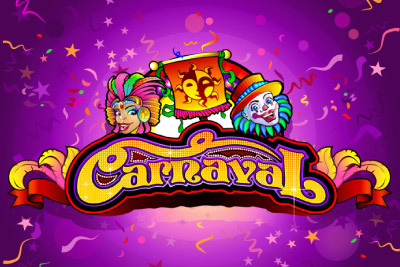 Because Carnaval mobile slot, with it’s bright colourful design and easy symbols (the wild and scatter symbols are the ones market ‘wild’ and ‘scatter’. You can’t go wrong.) is a perfect beginner video slot. You get your high card symbols, so you know the value of each. You have a few symbols in which you can quickly and easily note which are the most important. And being a Microgaming slot, it plays faultlessly on any device, anywhere. But… and you knew the ‘but’ was coming didn’t you… Unlike the online slot, the betting range here is very different. The coin size in the online slot started at 0.01 upward. On the mobile slot version, it starts at 0.25 and increases to 5 coins. How does it impact beginners? The minimum bet is 2.25 coins, which if you are just starting out, can feel a little high. Especially as this casino slot doesn’t have any features to bring excitement and big wins to the table. The Wild is not even a multiplier, making big wins limited to a grand 5,000 coins – certainly not something to turn our noses down at, but a difficult sum to gain on these 9 lines. It’s a shame, as if they had kept the same settings as on the online slot, this would have been a great mobile game. Wild: Wild symbol substitutes all symbols except scatter. Scatter: The scatter win does not unlock any special wins, but if 3, 4 or 5 show up on the screen, then your total number of credits staked is multiplied by 2, 10 and 50 times respectively. Carnaval mobile slot is a simple 9 line, 5 reeler game that is great for beginners and people looking for a very simple, no bonus features game. However, with a betting range of 2.25 to 45 coins, it limits the audience who will enjoy this slot, as true beginners will shy away from the high starting limit and high rollers can find far more interesting slots with a more interesting betting limit. Too high for beginners and not high enough for big betters, this Carnaval slot machine is not as inclusive as we would have hoped.